Go beyond the typical glorified babysitting of your standard park district or Y camp this summer. Here at ChiIL Mama we're featuring a few camps that are changing things up and offering something unique. All 3 still have space available for July and August sessions. Make your kids' summer of 2015 one to remember! Disclosure: ChiIL Mama is happy to partner up and spread the word about these fabulous Chicago opportunities. We have been compensated with free camp tuition from Green Apple and Brain Arts Camps and a 20% Brain Arts Discount for our readers in exchange for sharing this information. As always, all opinions are our own. In the StartUp to Achieve Summer Incubator, our goal is to inspire the next generation of innovators. In this extended two week experiential program kids are inspired to creatively apply technology and business concepts to unlock potential opportunities. In the spirit of innovation StartUp to Achieve Kid CEOs will set goals, develop their StartUp Big Idea, establish their brand, spread the word, explore funding. We will challenge kids to develop their best pitch and survive the Shark Tank. You’re the boss! In the mean time, check out their schedule of STEM and STEAM camps for pre-school through high school. I was the understudy for Viola in college, and now review copious amounts of Shakespeare as a professional blogger, freelance writer and theatre critic. 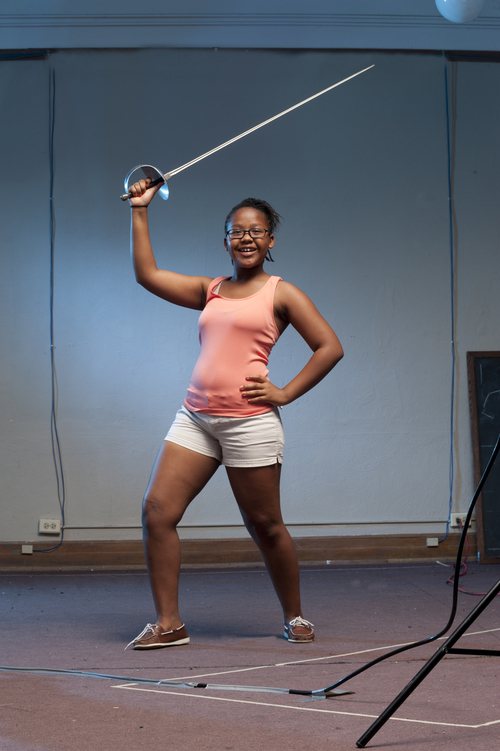 We adore Chicago Shakespeare Theatre and Babes With Blades. We haven't had a chance to experience The Viola Project camps first hand, but a 12 year old friend of ours is doing their Oak Park session, and what they're doing sounds amazing. Back in The Bard's day, all men and women in Shakespeare's plays were men, but we think turn about is fair play. We're huge advocates of grrrrrrl power, so we're happy to spread the word about this unique, empowering opportunity. Using the works of William Shakespeare, The Viola Project unites and empowers girls ages 10-16 from diverse backgrounds so they may grow up to be whoever they want to be… even Hamlet. 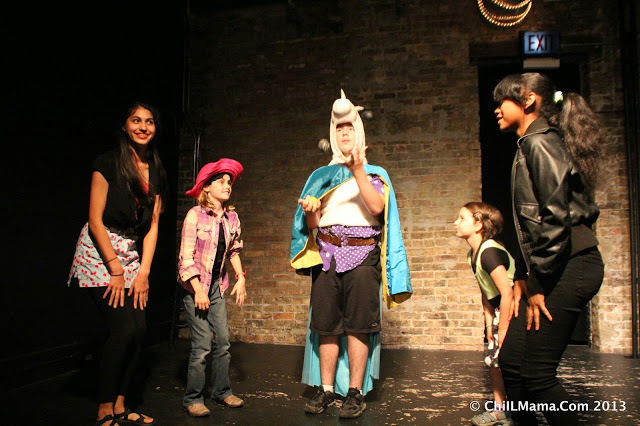 Our summer camps are held at City Lit Theatre, located in the Edgewater Presbyterian Church at 1020 W. Bryn Mawr. -- with the exception of a partnership with Oak Park Festival Theater in August. Get your comedy on in this week long camp on funny ladies from Shakespeare to The Second City! Although women were not allowed on stage in Shakespeare’s comedies, the Bard had the wit to know that ladies can be every bit as shrewd, goofy, ill-mannered, and hilarious as their male counterparts. We’ll take a cue from Beatrice, Rosalind, and our Merry Wives (to name a few) to prove that girls can hold their own in comedy. Join The Viola Project as we explore the age-old tradition of women in comedy while celebrating the great comediennes of today’s Chicago! For our final week of camp, we are embarking on an ambitious collaboration with Oak Park Festival Theatre and their production of Two Gentlemen of Verona. Join us at our home at City Lit OR at our home away from home in Austin Gardens, Oak Park! Join us for a week devoted to our veterans and older students! We'll be spending our time bringing our Shakespeare scenes to a new level with advanced Folio techniques as well as delving into some of the trickier aspects of Two Gentlemen of Verona. We challenge you to come up with and new version of the heroines Julia and Silvia who may have some strong words for two gents who won't take no for an answer! 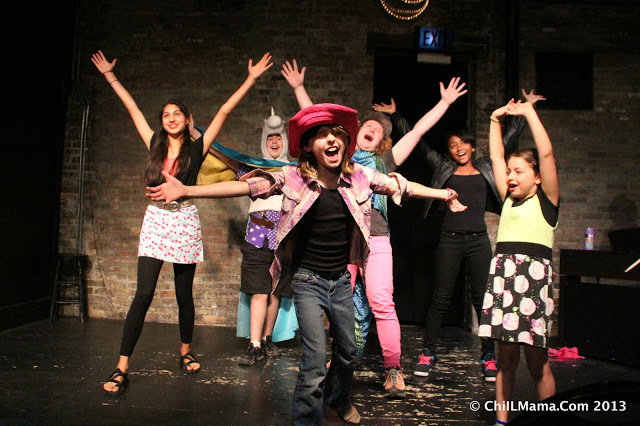 Give this play your own twist and bring it down to Oak Park for a joint performance with our Austin Garden campers! Recommended for ages 12 and up. Join us in the park for a one played focused summer camp of Two Gentlemen of Verona, one of Shakespeare's earliest comedies! We'll bring you up close and personal with a real production of Two Gents. Perform YOUR version of the play on Oak Park Festival Theatre's set and met and discuss your part with actors from Oak Park's production. The week will finish out with a joint performance of our Oak Park campers and our City Lit campers! Plus, you're invited as Oak Park Festival Theatre's guest to see their fully realized professional production! 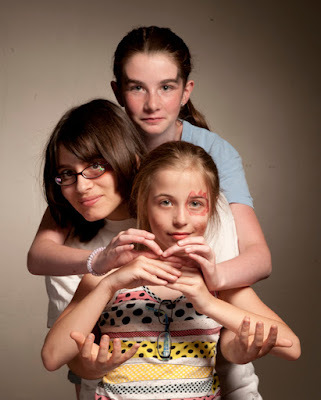 Email violainfo@violaproject.org for information about available scholarships. Disclosure: ChiIL Mama is happy to partner up and spread the word about these fabulous Chicago opportunities. We have been compensated with free camp tuition from Green Apple and Brain Arts Camps in exchange for sharing this information with our readers. As always, all opinions are our own.